For a tasty twist on fundraising, organize a taste test fundraiser for your group and watch the profits roll in. Who doesn't like food? A fun way to raise money for your group is to hold a taste test fundraiser. This type of event is great for groups of people who enjoy good food and the company of others. It not only lets people try out new food items, but allows them the opportunity to socialize with old friends and meet new ones. For the food, you can either get people to cook different dishes or engage local restaurants, gourmet markets, or cooking schools to donate dishes for the event. There are even companies that specialize in taste testing events. If there are local wineries in your area, why not consider asking them to donate a few bottles to serve at the event as well? 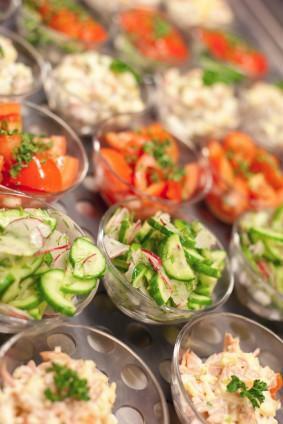 There are endless possibilities for items to serve at the event. It is best to first send a letter to local business asking for donations. You can then call or visit as a follow-up to the request.You will also need to determine how much to charge guests and how much profit will be made from each ticket sold. One of the biggest benefits of this type of fundraiser is that it is a one-time event that only lasts a few hours and is fun for all involved. You can tailor it to specific groups or ages of guests and make it unique for your organization. There is potential to raise large sums of money with this kind of fundraiser. If you can get most of the items donated, there is not much cost out of pocket for your organization. Holding a Chinese auction featuring a variety of gourmet food baskets. Tickets can be sold for a chance to win. Having local establishments participate in the event and bring a dish that they are noted for. There are many companies that have an option for fundraising. For example, Tastefully Simple will let you host your own party on behalf of your organization. They offer a variety of delicious choices including appetizers, soups and even desserts. FPI Testers is open to nonprofit organizations who are interested in raising money for their group's projects and register with the company. Testers can donate part or all of their payment to the organization of their choice, and children can be testers too. To get started, go to their website and fill out their fundraising forms. Once you have all your arrangements made and have determined what will be served, the only thing left to do is have fun. This type of fundraiser is fun for all involved. Plus, you will get to try new food items and socialize at the same time.